Drinking water service will be shut off to about 100 residential customers in the vicinity of 20th Avenue South and South Hanford street while Seattle Public Utilities (SPU) investigates a water main leak in the area. SPU workers are identifying valves in an effort to isolate the leak and. Water will be off along 19th Avenue South and 20th Ave South, from South Hanford Street to South Spokane Street. There are expected to be no impacts to businesses or arterial traffic. It is not known at this time when the water will be restored to the area. Customers with questions can call 206-386-1800. South view of the new Jefferson golf clubhouse. Construction on the changes at Jefferson Park Golf Course is planned to begin later this month, to be completed in December 2014. 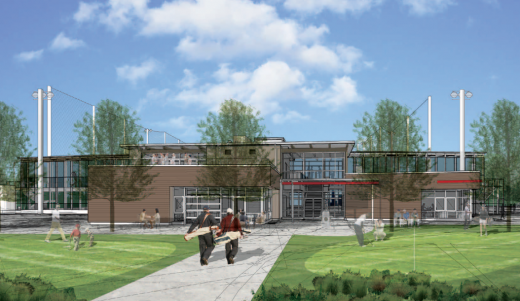 The project includes a new two-story modern-style clubhouse, a double-deck driving range, and improvements to paths and parking. The course will remain open, though temporary facilities for the pro shop and food service will be located across Beacon Avenue, behind the existing first tee. For more information about the project, see the website or email project manager Toby Ressler. Previous posts about the project on the BHB may be seen here. El Centro photo by JavaColleen in the Beacon Hill Blog photo pool on Flickr. El Centro de la Raza is among 13 Seattle cultural organizations and two historic theater buildings to receive funding for needed improvements. El Centro’s $35,000 grant will pay for an elevator upgrade for safety and ADA compliance. The project will be completed during the next year. For a complete list of all organizations receiving funding, go here. On Sunday, October 20, Stevens Place Park (the triangle park at Beacon and Stevens) will be the site of a video shoot for footage to be used in a Seattle Children’s Hospital benefit event. Vossler Media Group of Kirkland will be shooting video of two couples meeting on the sidewalk in the park and on the sidewalk on the south side of Stevens Street between Beacon Avenue South and 17th Avenue South. According to a handout delivered to houses surrounding the park, there will be a crew of about 13 technicians and actors, and the shoot will take about five hours, from 1 to 6 p.m. There will be some No Parking signs in place during the shoot, but there should be no blocking of residence access or vehicle traffic. Sound isn’t being recorded, so feel free to practice your tuba during the shoot. You probably shouldn’t photobomb them, however. Photo by Wendi Dunlap / Beacon Hill Blog. Seattle Central is probably coming to Beacon Hill after all. 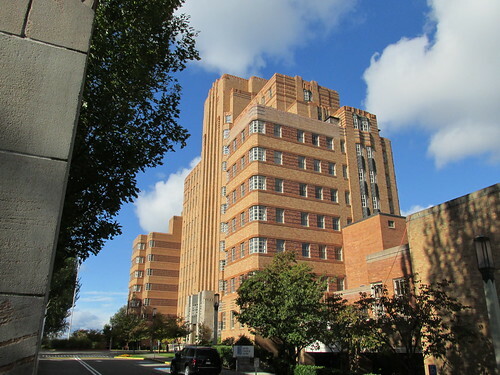 The Seattle Times reports tonight that the Pacific Hospital Preservation and Development Authority’s governing council has agreed to a tentative deal for the state Commerce Department to lease 205,000 square feet of the Pacific Tower/PacMed building (13 floors) for 30 years. This will begin a 90-day due diligence period for the state, which plans to sublease six floors to Seattle Central Community College for health-training programs, including a new Bachelor of Nursing degree. The remaining seven floors would be subleased to other non-profit agencies that focus on health care and social services. The building has been mostly vacant since Amazon.com moved out in 2011. A possible design for the entrance to the plaza at Plaza Roberto Maestas. 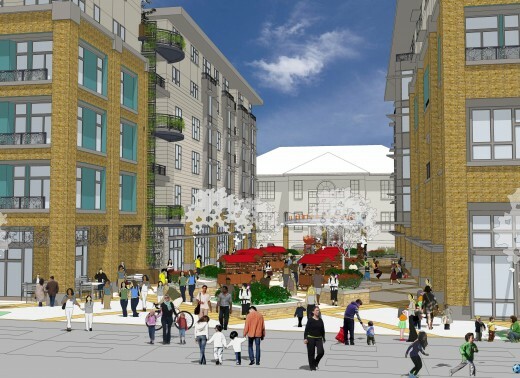 It has been a busy spring and summer and I wanted to provide you with a brief update on Plaza Roberto Maestas, the redevelopment of our south parking lot into a vibrant mixed-use project next to the Light Rail Station. We are currently preparing for submission of an application for public funds to the City of Seattle in September. As such, we are also spending time this summer making sure we understand and incorporate all of the policy changes afoot right now with the City of Seattle and the Washington State Housing Finance Commission, both likely to be major sources of funding for Plaza Roberto Maestas. Unfortunately, Seattle affordable housing projects did not fare very well in Olympia this year – none made the priority list for the State Housing Trust Fund, including our project, Plaza Roberto Maestas. As we indicated on our last blog post in the spring, we do have feasible back-up funding scenarios and are in conversations right now with funders about these financing options. However, we have unfortunately decided to cancel our August 13th City Design Review Meeting. We realize that this meeting had already been rescheduled twice, and apologize for any inconvenience this may have caused in the community. As you can tell, we are eager to begin this review process with the neighborhood and to start permitting Plaza Roberto Maestas. At this point we hope to return to the community in the fall, when the North Beacon Hill Council is meeting again regularly, for a more comprehensive update and check-in before moving on to the formal Design Review process later this year. If you have any questions please do not hesitate to contact Kate de la Garza at kated@beacondevgroup.com or 206-860-2491 ext. 202. Again, gracias for your patience with us, and we look forward to meeting again with you in the fall. The public hearing scheduled for next week on the future use of the North Beacon building officially called Pacific Tower (but universally known as PacMed) has been cancelled. The public hearing had been scheduled for Wedneday, August 7. No reason was given for the cancellation and we don’t yet know if it will be rescheduled. Photo by Yuek Hahn in the Beacon Hill Blog photo pool on Flickr. 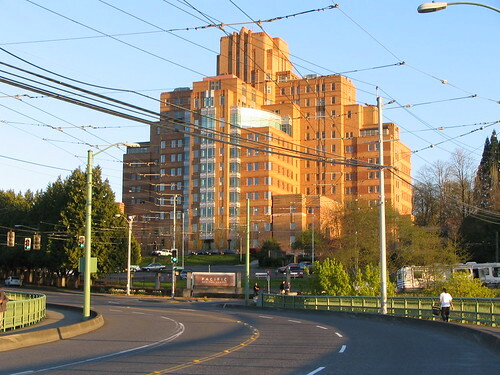 The Seattle Times reports that the Pacific Hospital Preservation and Development Authority governing council voted this morning to continue discussions with both entities interested in a long term lease of the landmark PacMed building. On Monday, the state rejected the 30-year lease the PDA recently proposed, stating that more time was needed to perform due diligence. This morning, the governing council met to discuss the alternate deal on the table by Miami-based homebuilding company Lennar, which would take out a 75-year lease and convert the building to market-rate apartments. The council voted today to continue discussions with Lennar, and also to meet with the state to determine whether the issues between the two sides can be resolved. In the state’s plan, Seattle Central Community College would use 85,000 square feet for health-training programs, including a new Bachelor of Nursing degree. Non-profit groups focusing on community health and social services would form an “innovation center” that would take up the remaining floors of the building. The City Council’s Housing, Human Services, Health and Culture Committee, chaired by Nick Licata, will hold a special public hearing on August 7 at 5 p.m. in Council Chamber at City Hall to discuss the future use of the PacMed tower. 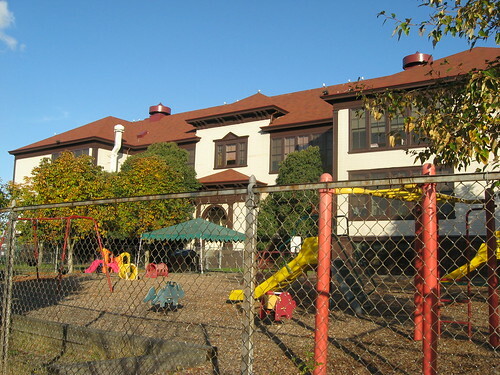 If you want to let the Pacific Hospital Preservation and Development Authority know your thoughts on the current situation, contact Rosemary Aragon, the Executive Director of the PDA at r.aragon@phpda.org or by mail to 1200 12th Ave. S, Quarters 2, Seattle, WA 98144.